I'm always searching for new shops for my dear readers. 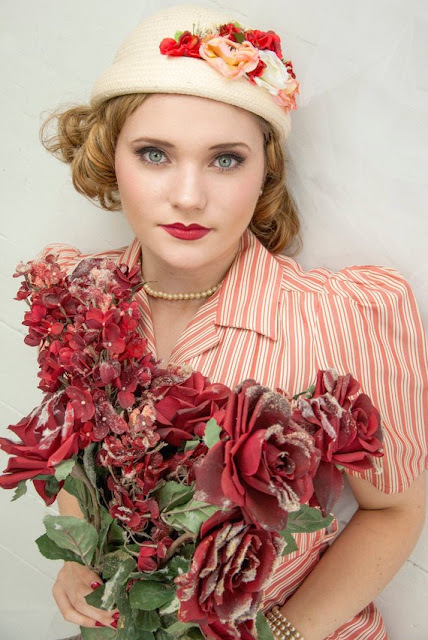 When I found this shop called Roselein Rarities; it's a shop that sells true vintage clothing. With the gorgeous vintage apparel combined with expert photography, I could tell this shop is truly a Rarity. I spoke with the owner Kyana Taillon, to get some insight on how and why she started this amazing shop. Can you give a little background on your life and how you got inspired to start selling vintage apparel? 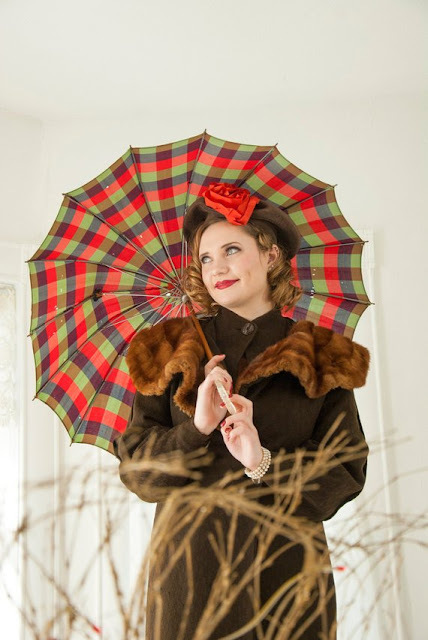 "I've always had a soft spot for old, interesting clothing, so when pin-up style photography started to become "the thing," I was inspired to acquire more pieces for my professional photography studio-lingerie, dresses, hats, you name it. When I had to relocate my business, I found it the opportune time to consider my options to focus more of my time on my collection. I still wanted to photograph people, mainly women, but I wanted to include my other passions, as well." How did you get into collecting? "I remember finding a pair of plaid corduroy bell-bottoms for a young child at a thrift store after I graduated high school. I couldn't pass them up, even though at the time I had no idea what I was going to use them for, or why, but they were so cool that I hung onto them for years until, years later, both of my boys were able to wear them. (Yes, they even wore them voluntarily!) I still have them and I treasure the unique relic from another era and the memories they possess." How did you get into photography? "It wasn't until my last years in college that I found photography the right fit for me. I was in the graphic design field and worked as a magazine editor so the two sort of meshed together as I needed imagery, which turned out to be the perfect combination for running my own business." How did you Start RoseleinRarities? "Starting a shop on Etsy was fairly easy; I just needed to decide what to focus on. The first thing I sold was a 1920s red wool swimsuit!" Why did you start StartRoseleinRarities? "I've always found a great satisfaction in working for myself. I love to be in charge of my own schedule (though many times self-employed business owners tend to not know when to stop!) and to be able to stay at home with my young child. Now, seven years later, I have an entire house that holds my large collection!" 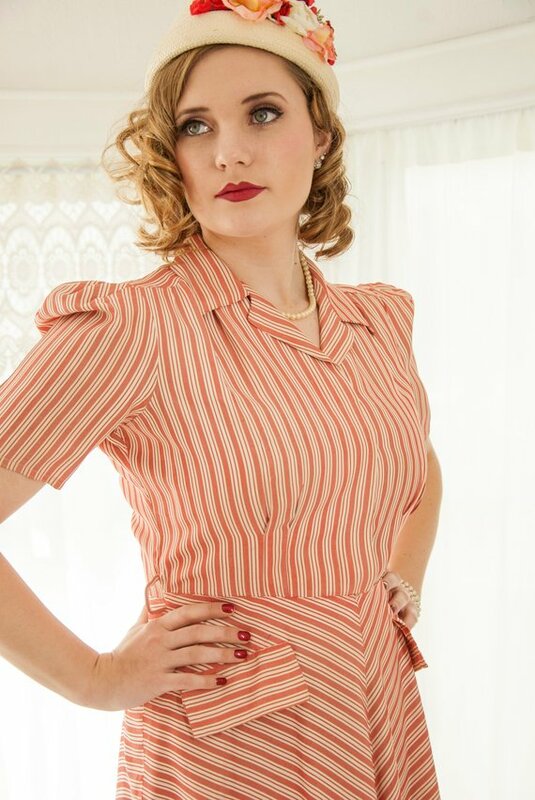 How did you get into pinup/vintage style fashion? "I've always felt that, fashion-wise, I belonged in a different era. I was voted "Belongs in the '70s" of my high school class and I'm sure they would all attest to my, shall we say, "creative" dress. Being involved in theater likely contributed to that, as well." Which item do you currently have up for sale do you recommend buying the most? "I actually have the dress for sale that I'm currently using for my shop header--a black-velvet sleeveless gown from the mid-century with red embroidered dots and flowers--but, I'm secretly hoping to keep it because it's one of my absolute favorites! That's my main problem in this business is wanting to KEEP all the amazing treasures I find!" Which vintage era of fashion do you like the most and why? "Currently, I am completely obsessed with the 1930s. The draping dresses accentuate curves without restriction and there's a classical Greek inspiration in many of the designs. Pieces from this era are of an interesting time in US history when women often had to improvise to be able to afford clothing when fabrics were scarce, so it offers an added challenge to me to find the rare pieces from this era."